Chapter 1: What does project management mean? Who will carry out the evaluation? Project quality or deliverable quality? 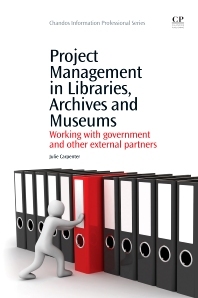 Aimed at practitioners and managers, this practical handbook provides a source of guidance on project management techniques for the academic and cultural heritage sectors, focusing on managing projects involving public sector and other external partners. Issues under consideration and illustration include: different approaches to managing projects and how to select appropriate methods; using project management tools and other applications in project development and implementation; ensuring the sustainability of project outcomes and transferability into practice; realistic monitoring methodologies and specification and commissioning evaluation work that has real value. Julie Carpenter is Director and Lead Consultant of Education for Change Ltd (EfC). She is a qualified librarian and joined the British Council, working to improve the Council’s own library and information services. She led the British Council’s policy and strategic inputs on book and information provision in education projects funded by the World Bank. She has been a consultant since 1990 and was successful in developing and managing research projects under the European Union’s early R&D Framework Programmes. She has led and managed research and consulting projects in the UK for the Joint Information Systems Committee (JISC) of the Higher Education Funding Councils, and the Museums, Libraries and Archives Council (MLA). From 2004 – 2006 she directed the summative evaluation of the UK Big Lottery Fund’s ICT Content for Learning Programmes.